Virginia has some of the country’s best classic designs and modern layouts. It has one of the world’s great mountain courses and one of the world’s great golf destinations in Williamsburg. Most of the great architects have worked a plot or two of Virginia soil. You can find the modern wonder of the Pete Dye designed Full Cry at Keswick Hall and River Course at Kingsmill Resort, or the classic touch of Robert Trent Jones at the Golden Horseshoe Golf Club. Golf is played in Virginia’s great metropolises, its wonderfully quaint small towns and its scenic rural areas. Wherever you are in the Old Dominion, it’s a sure bet you’re just a few miles from a great golf experience. Plus, there is plenty to do beyond the course. Golf magazines have ranked Williamsburg and the Virginia mountains among the 50 best golf destinations in the world. Virginia is definitely for golf lovers. 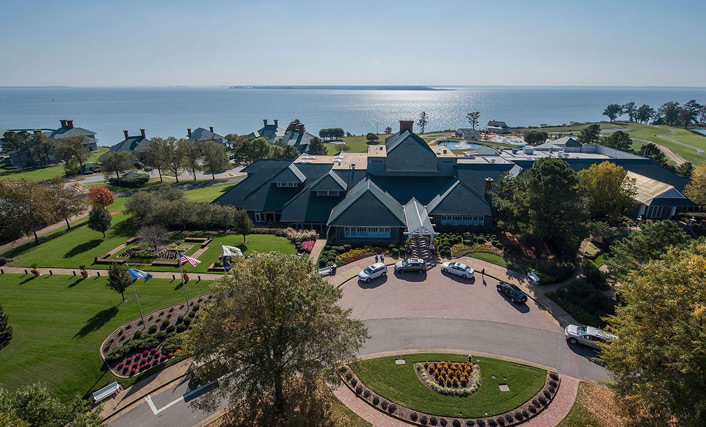 Welcome to Kingsmill Resort, a wonderful facility alongside the James River offering superb accommodations and two 18-hole golf courses.